Peewee Herman is a lovable and hilarious character, and Peewee's Big Adventure is one of the campiest movies of its time. One of the funniest scenes was when our hero danced his way out of trouble in a biker bar, making loads of new friends in the process. If you love Pewee and his adventures the way that he loves his bike, then this print is for you. 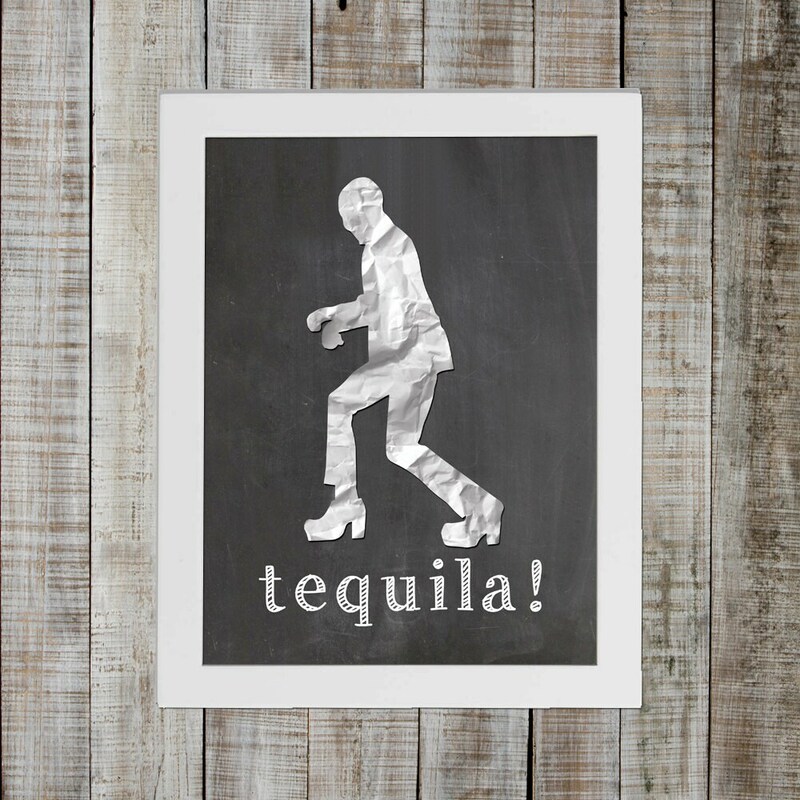 This ready to frame matte print resembles a chalkboard and paper cutout, and looks good nearly anywhere. It makes a great gift, or better yet, get two and keep one for yourself.